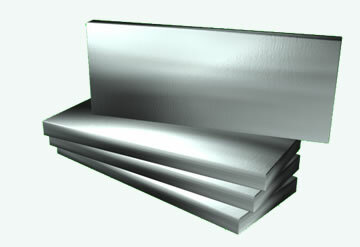 Molybdenum plate is a significant product, which is made of the material of molybdenum. Material with thickness of .090 inches to 3 inches is classified as molybdenum plate. Molybdenum plate is widely used in fabrication of furnace parts and also used as starting material for manufacturing electronic components. Surface can be supplied in a shiny, matte, or as-rolled condition; dependent upon thickness and width parameters. The surface can be polished, or unpolished. While polished molybdenum plate is bright and shiny. The impurity content of pure molybdenum plate accords with GB/T3876-2007. If you have any interest in molybdenum plate, or other molybdenum products, please feel free to contact us by email: sales@chinatungsten.com sales@xiamentungsten.com or by telephone: 86 592 512 9696.